Within these clouds, on the surfaces of tiny dust grains, hydrogen atoms link with oxygen to form water. Carbon joins with hydrogen to make methane. Nitrogen bonds with hydrogen to create ammonia. 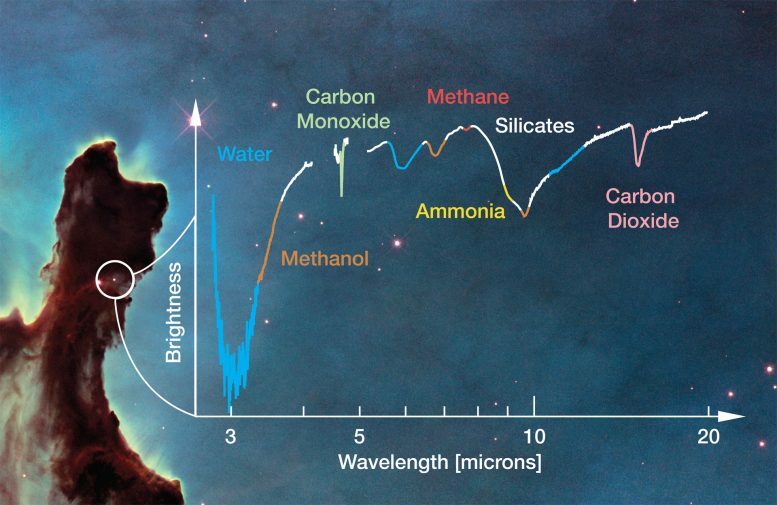 All of these molecules stick to the surface of dust specks, accumulating icy layers over millions of years. The result is a vast collection of “snowflakes” that are swept up by infant planets, delivering materials needed for life as we know it. 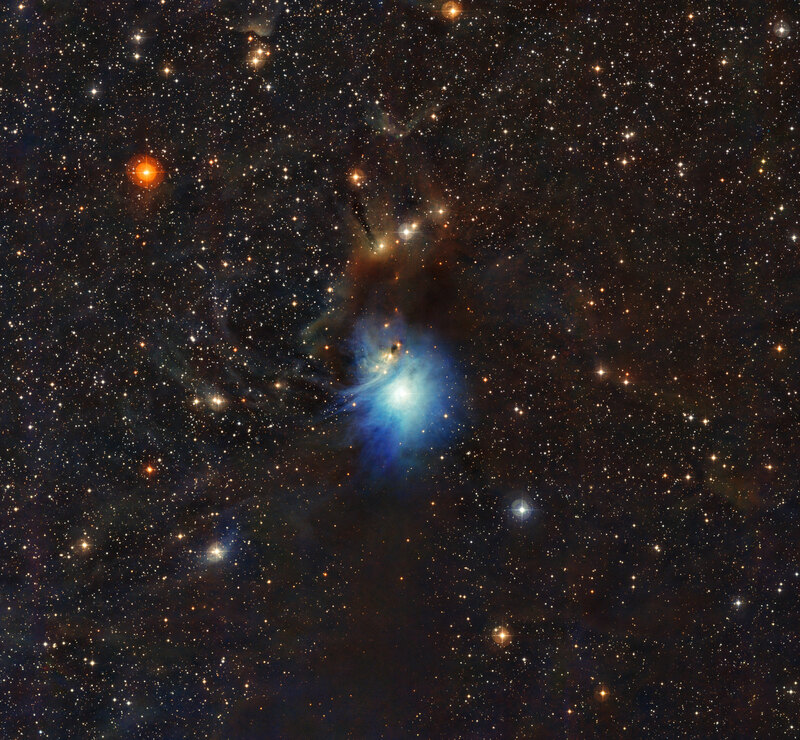 “If we can understand the chemical complexity of these ices in the molecular cloud, and how they evolve during the formation of a star and its planets, then we can assess whether the building blocks of life should exist in every star system,” said Melissa McClure of the Universiteit van Amsterdam, the principal investigator on a research project to investigate cosmic ices. For more information about Webb, visit www.nasa.gov/webb or www.webbtelescope.org. Be the first to comment on "Webb Telescope Will Search for Interstellar Water & Other Building Blocks for Habitable Planets"